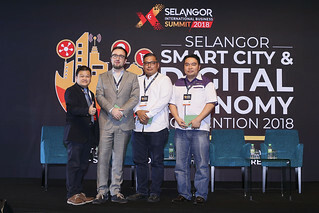 Following the success of the Selangor Smart City International Conference in late 2016, Selangor is set to partner up with Barcelona experts to organise the Selangor Smart City & Future Commerce Convention 2017, as part of the 10-day Selangor International Business Summit to be held from 7 to 17 September this year. Invest Selangor Bhd, represented by CEO Dato’ Hasan Azhari B. Idris, formalised a Partnership Contract with Barcelona’s Mediaurban represented by CEO Maria Sisternas, former Director of Projects of the Barcelona City Council, on 11 May at the Hilton Hotel in Petaling Jaya, during the soft launch of the Selangor International Business Summit 2017, incorporating the Selangor International Expo and the Selangor ASEAN Business Conference. Based in Barcelona, Mediaurban (of the Mediapro Group) is a global content creation agency that brings with them a wealth of expertise and experience in high impact, value-added urban content, strategies and smart digital solutions, consulting with numerous Smart Cities and organisations worldwide. Chief Advisor for the event is Barcelona’s former Deputy Mayor (2011 – 2015) and current CEO of the City Transformation Agency of Barcelona, Mr. Antoni Vives. Vives is a political advisor, analyst and international consultant, instrumental in spearheading the Barcelona Smart City Initiative during his time as the former Deputy Mayor. 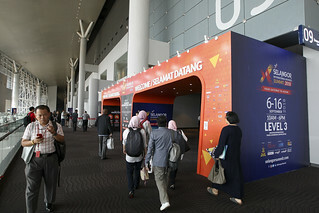 Other co-organisers include Selangor Information Technology and E-Commerce Council (SITEC) and Menteri Besar Selangor Incorporated (MBI). Set to be the biggest event of its kind in Asia, the Selangor Smart City & Future Commerce Convention, taking place from 7 – 9 September 2017, brings the Barcelona experience to Asia, and aims to explore how smart, digital & green technologies and future commerce are revolutionising and transforming cities around the globe. Split into three tracks – Smart/Green Cities and Technologies, Future Commerce, and Startups, the three-day convention comprises conferences, exhibitions, keynotes, plenary sessions, forums, workshops, side events such as demo days, hackathons, as well as business matching and pitching sessions. 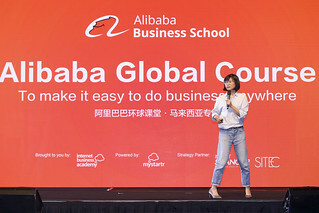 With space for over 300 booths, it expects to see over 3,000 attendees, fielding over 50 key leaders, experts and practitioners from Smart Cities such as Barcelona, Amsterdam, Taipei, Doha, and the UK. Top panelists from global MNCs, and local organisations invested in Smart Tech, Green Tech, IoT, Big Data, and more will also feature heavily in each track. Speaking at the soft launch, Dato’ Teng Chang Khim, Selangor’s State Senior Executive Councillor for Investment, Industry and Commerce, SMEs and Transportation, said “The Selangor International Business Summit 2017 will be an important event in Selangor’s trade and investment calendar – as more efforts are being placed on high-tech and capital-intensive industries to enable both the private and public sectors to work in sync towards making Selangor a ‘Smart State’. The Selangor-ASEAN Business Conference 2017 is a two-day conference with international speakers, encompassing key industries such as food & beverage, life sciences and biotechnology, including a one-day industrial site visit to Pulau Indah a.k.a. Selangor’s Halal Hub and Selangor Bio Bay. The conference will also include an International Golf Tournament where HRH Raja Muda of Selangor has agreed to grace the event, as well as an award ceremony where Selangor-born entrepreneurs or those who have their businesses in Selangor for several years will be awarded for their achievements. The Selangor International Expo 2017 will be held over four days featuring two synergistic sectors, namely Life Sciences and F&B, as well as halal market segments which are all the fastest growing sectors cutting across the border. Watch the launch video here!